Make an impact with eye-catching vintage inspired style from Fossil. This Machine men's watch has a rich brown dial set with amber crystal for a chic look. Finished with a dark brown leather strap, this chronograph watch is sure to make a statement. 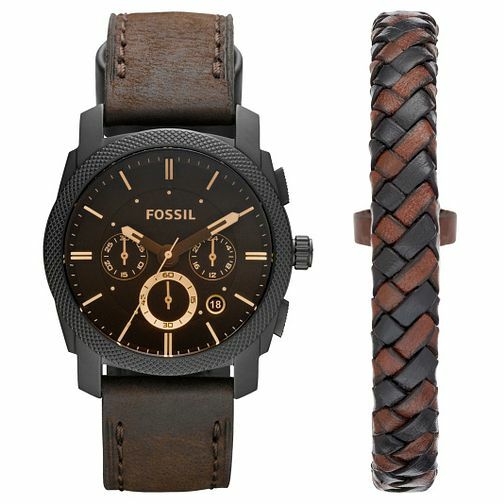 This timepiece comes with a brown woven leather wrist wrap to complete a masculine, adventurous look.